We estimate this scroll was painted before the Second World War. 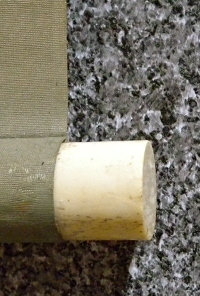 A few stains by water are recognized at the top of the mounting. There are some small spots and stains on the drawing part. 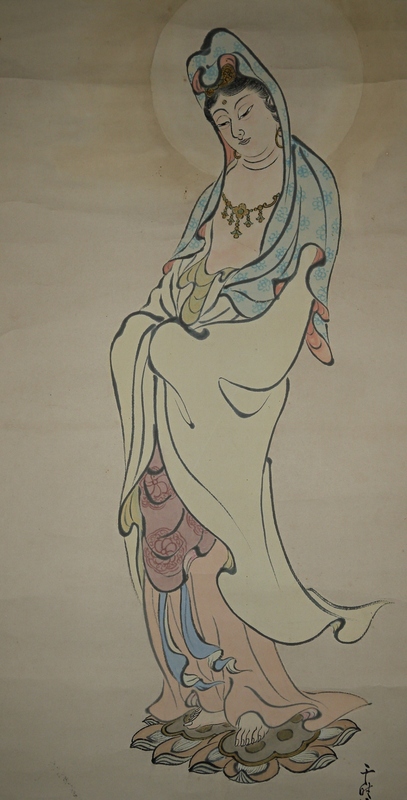 Although, the Kannon Goddess (Guanyin, Kwannon, Goddess of Mercy) is painted well.